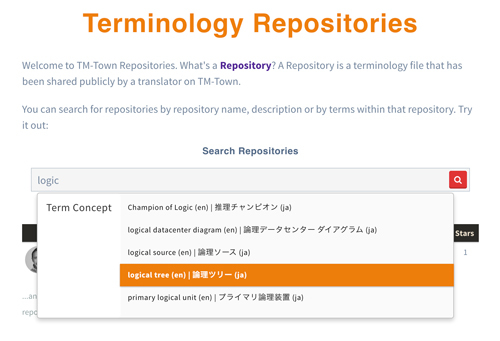 Terminology Repositories have now been deprecated and consolidated into the TM-Town Terminology Marketplace. If you would like to make a terminology glossary public, you can now list it for at a price of €0 (free) on the TM-Town Terminology Marketplace. 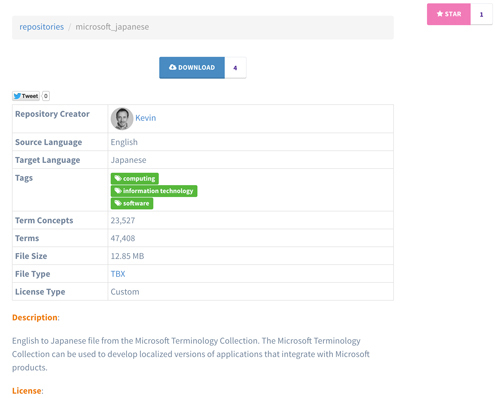 Today TM-Town is launching a brand new feature that allows translators to download, search and share terminology files. Terminology is at the heart of what translators do and this feature is an effort to create a central location where professional translators can easily search, browse and download relevant terminology files. A repository is a terminology file that you would like to share with your fellow translators. You set the license and other translators can view, search or download your terminology file. In return you get some Internet points, good karma within the translation community, and everyone benefits from a central location to easily search and download relevant terminology files. How do I add a repository? 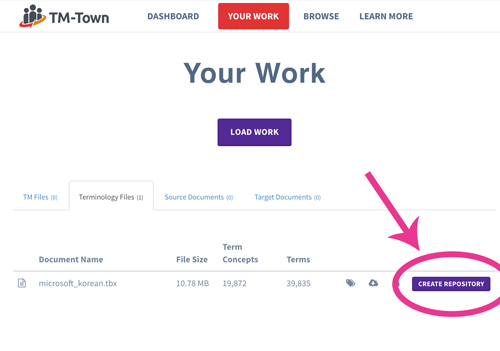 After your file is finished uploading and processing you will see a purple "Create Repository" button next to the file in the "Your Work" section of the site. Click the button to get started. On TM-Town it is easy to create a new terminology file from terms automatically extracted from your TM files and aligned documents. Learn more about how this works in my blog post Creating a Multilingual Termbase is Now a Simple, Stress-Free Process. After clicking the purple "Create Repository" button it is easy to set up your new repository. Just choose a name, description and set the license type. 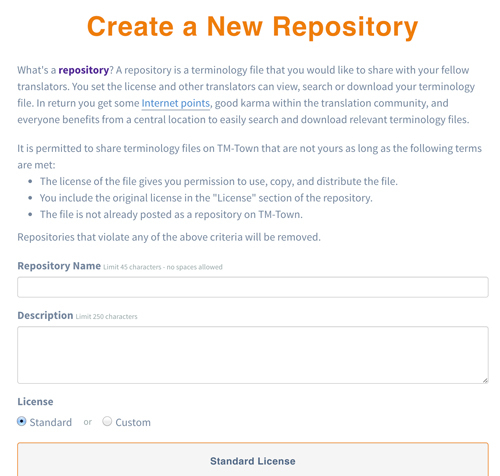 TM-Town automatically generates a standard license you can use, or you can set a custom license. 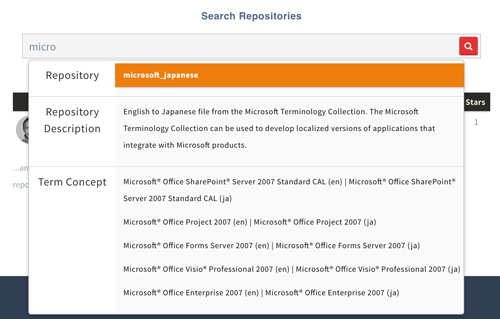 You can search through all repositories by terms, the name of the repository, or by the description of the repository. As you start typing the system will give you some suggested matches that you can click to jump to that repository. Give it a try! What kind of repositories can I add? The license of the file gives you permission to use, copy, and distribute the file. You include the original license in the "License" section of the repository. The file is not already posted as a repository on TM-Town. Are you a professional translator? Do you have a terminology file that you would like to contribute to the community? Get started on TM-Town today and let's create a better translation world together.